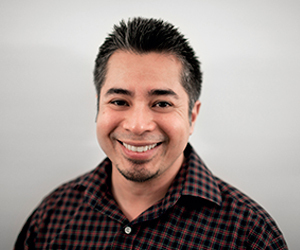 Dennis Consorte has been in the field of ecommerce marketing for over 10 years. He honed his internet marketing skills when he launched a successful online DVD rental start-up with in-house fulfillment in New Jersey. After selling the company, he stayed on board to direct its in-house affiliate marketing, PPC and SEO. After a successful handoff, Dennis phased out of this position to direct the ecommerce division of a major cookie manufacturer, where he tripled online revenues and worked with finance to develop a strategy that yielded a substantial increase in marginal profitability for online sales. These proven results led Dennis to head up the marketing department for a well-respected ecommerce solution provider, where his roll-up-your-sleeves, lead-by-example methodology yielded unsurpassed results for ecommerce clients across numerous industries. Dennis has taken his entrepreneurial experience as the Founder of an internet startup, combined it with his strategic, in-house role as the Director of Ecommerce for an international gourmet food company and broadened it with his agency-side experience managing the ecommerce marketing for numerous clients to provide a truly unique service for clients of Consorte Marketing. He takes pride in finding the right talent to deliver amazing results to clients in an energetic, creative, strategic and educational environment. Dennis has been quoted, interviewed and published in numerous publications and websites including FeedFront Magazine, Business.com, Internet Retailer, Search Engine Journal and Beauty Store Business. He has been a panelist and speaker at IRCE and Linkshare Symposium, has had his comments called-out on Forbes.com and has garnered effective placements for his clients in The New York Post, Good Housekeeping Magazine and numerous other media outlets.